Len Coote holds the rank of Associate Professor in The University of Queensland Business School. His primary academic contribution is to the study of economic choices, which are ubiquitous in marketing (e.g., consider the decisions to install solar panels, purchase private health insurance, and use toll roads—to name just a few). Together with his academic collaborators, he developed a very general and flexible model for studying decision making and choice. The model integrates the mathematics of Daniel McFadden’s (UC Berkeley) conditional logistic regression and Karl Joreskog’s (Uppsala) linear structural relations models. Len’s primary teaching interests are in quantitative marketing, which is a precursor to the new discipline of business analytics. In his opinion, today’s business school students need greater “data literacy” and business schools must place greater emphasis on equipping students to succeed in a world of artificial intelligence and big data. The methods of business analytics—data visualisation, machine learning, optimisation methods, predictive analytics, text mining, and web analytics—have much application to solving business and marketing problems. Len is passionate about bringing these methods to a new generation of business school students. For the past 10 years, Len has performed several valued service roles at the University of Queensland. He served as Acting Dean of the UQ Business School for 1.5 years through to December, 2017. Before that he served as Deputy Dean of the Business School (1.5 years) and Head of the Marketing Discipline (7 years). As Acting Dean, Len was committed to understanding the needs of business and responding to those needs by introducing advanced and innovative programs. The introduction of the Bachelor of Advanced Business (Honours) program reflects this commitment. Len is an active participant in community service roles. 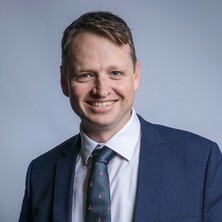 For example, he is the Vice-Chair of the Australian Consortium for Social and Political Research, Inc. ACSPRI is a non-profit consortium of Australian universities. Its mission is to improve the quality of research in the social and behavioural sciences and encourage Australian governments to take an evidence-based approach to policymaking. Before serving in the role of Vice-Chair, he was an instructor on ACSPRI’s summer and winter programs for circa 10 years (teaching courses on structural equations with latent variables). Coote, L. V. (2005). Case Study 2: Consumer Fashion Brands. In D. A. Aaker, V. Kumar, G.S. Day and M. Lawley (Ed. ), Marketing Research (pp. 601-605) Australia: Wiley. Coote, L. V. (2005). Case Study 3: Supply Chain Management. In D. A. Aaker, V. Kumar, G.S. Day and M. Lawley (Ed. ), Marketing Research (pp. 606-615) Australia: Wiley. Beatson, A. T., Coote, L. V. and Rudd, J. M. (2006) Determining customer satisfaction and commitment through self-service technology and personal service usage. Journal of Marketing Management, 22 7: 853-882. Ali,Czafrann, Cornwell, T. Bettina, Nguyen, Doan and Coote,Leonard (2006) Exploring the usefulness of a consumer activity index in the sponsorship-linked marketing context. International Journal of Sports Marketing and Sponsorship, 7 2: 115-123. Tildesley, Amy E. and Coote, Leonard V. (2009). This brand is me: A social identity based measure of brand identification. In: 36th Annual Conference of the Association for Consumer Research, San Francisco, CA, United States, (627-628). 23-26 October 2008. Coote, Len and Cornwell, Bettina (2008). Latent variable modeling of consumer brand preferences using best-worst experiments. In: 2008 INFORMS Marketing Science Conference, Vancouver, Canada, (). 12-14 June 2008. Coote, L. V. and Cornwell, T. B. (2007). Antecedents and consequences of identification in international expansion. In: Engilbertsson, H. O., Flexible Marketing in an Unpredictable World: Proceeding of the 36th EMAC conference. European Marketing Academy Conference: Flexible marketing in an unpredictable world, Reykjavik, Iceland, (1-10). 22-25 May, 2007. Beatson, A., Coote, L. V. and Drennan, J. (2007). High tech versus high touch: Consumer impressions of service delivery experiences. In: Engilbertsson, H. O., Flexible Marketing in an Unpredictable World: Proceeding of the 36th EMAC conference. European Marketing Academy Conference: Flexible marketing in an unpredictable world, Reykjavik, Iceland, (1-9). 22-25 May, 2007. Coote, Len, Louviere, Jordan and Cam Rungie (2007). Modeling the latent preference structure implied by discrete choice experiments. In: XXIX INFORMS Marketing Science Conference: Conference Agenda. XXIX INFORMS Marketing Science Conference, Singapore, (). 27-30 June 2007. Coote, Leonard V. and Louviere, Jordan J. (2006). Modelling Hierarchical Conjoint Processes and Data from Integrated Experiments Using Latent Variables. In: Proceedings of: XXVIII INFORMS Marketing Science Conference. XXVIII INFORMS Marketing Science Conference, Pittsburgh, PA, United States, (). 16 - 19 June 2005. Coote, L. V., Cornwell, T.B. and Stephen, A. T. (2004). Consumer-company identification and consumer-company relationships: A conceptual framework. In: K.L. Berenhardt, J.S. Boles and P. Scholder Ellen, Enhancing Knowledge Development in Marketing. 2004 AMA Summer Educators' Conference, Boston, MA, (336-337). 6-9 August, 2004. Coote, L. V. and Cornwell, T.B. (2004). Employee identification with sponsorship programs: A conceptual framework of antecedents and outcomes. In: W.L. Cron and G.S. Low, Marketing Theory and Applications. 2004 AMA Winter Educators' Conference, Scottsdale, Arizona, (305-306). 6-9 February, 2004. Stephen, A. T. and Coote, L. V. (2004). Exploring biaxial agency relationships and their performance implications under relational governance. In: K.L. Berenhardt, J.S. Boles and P. Scholder Ellen, Enhancing Knowledge Development in Marketing. 2004 AMA Summer Educators' Conference, Boston, MA, (141-142). 6-9 August, 2004. Stephen, A. T. and Coote, L. V. (2004). The market value of relational governance as a solution to agency problems: A conceptual framework. In: W.L. Cron and G.S. Low, Marketing Theory and Applications. 2004 AMA Winter Educators' Conference, Scottsdale, Arizona, (180-181). 6-9 February, 2004. Stephen, A. T. and Coote, L. V. (2004). The role of consumer-brand identification in building brand relationships: A conceptual framework. In: K.L. Berenhardt, J.S. Boles and P. Scholder Ellen, Enhancing Knowledge Development in Marketing. 2004 AMA Summer Educators' Conference, Boston, Ma, (238-239). 6-9 August, 2004. Hogan, Suellen J. and Coote, Leonard V. (2004). Towards an understanding of creativity and innovation within professional services and marketing. In: Jim Wiley and Peter Thirkell, Marketing Accountabilities and Responsibilities: ANZMAC 2004 Conference Proceedings. ANZMAC 2004: Australian and New Zealand Marketing Academy Conference, Wellington, New Zealand, (1-8). 29 November-1 December, 2004. Coote, L. V. and Cornwell, B. T. B. (2003). Sponsorship of a cause: Exploring the role of organizational identification in sponsorship-linked purchase commitment. In: R. B. Money and R. L. Rose, Enhancing Knowledge Development in Marketing: 2003 AMA Educators' Proceedings. 2003 AMA Summer Educators' Conference, Chicago, Il, (282-283). 15-18 August, 2003. Beatson, A. T. and Coote, L. V. (2002). Attributes of service delivery modes and their impact on customer satisfaction. In: R. N. Shaw, S. Adam and H. McDonald, Proceedings of the Australian and New Zealand Marketing Academy Conference. Australian and New Zealand Marketing Academy Conference, Geelong, Vic, (561-568). 2-4 December, 2002. Beatson, A. T. and Coote, L. V. (2002). Measuring consumer loyalty: The loyalty orientation scale. In: M. Farhangmehr, Proceedings of the 31st EMAC Conference: Marketing in a Changing World: Scope, Opportunity and Challenges. European Marketing Academy Conference (EMAC) 2002, Braga, Portugal, (). 28-31 May, 2002. Coote, L. V. and Rowe, A. (2001). The determinants of customer loyalty in a service context. In: E. Breivik and A.W.Falkenberg and K.Gronhaus, Rethinking European marketing: Proceedings from the 30th EMAC Conference. , Bergen, Norway, (). May 8th -11th ,2001. Rowe, A. and Coote, L. V. (2001). The impact of self-service technology and interpersonal service on customer satisfaction. In: E. Breivik and A.W.Falkenberg and K.Gronhaus, Rethinking European marketing: Proceedings from the 30th EMAC Conference. , Bergen, Norway, (). May 8th -11th ,2001. Bennett, R., Coote, L. V. and Dann, S. (2000). A structural model of brand loyalty. In: R. Kerley, Managing Across Boundaries. British Academy of Management Annual Conference, Edinburgh, UK, (389-389). 13-15 Sept 2000. Ackfeldt, A. L. and Coote, L. V. (2000). An investigation into the antecedents of organizational citizenship behaviours. In: A. O'Cass, Visionary Marketing for the 21st Century: Facing the Challenge. ANZMAC 2000, Gold Coast, Australia, (217-222). 28 Nov - 1 Dec 2000. Coote, L. V. (2000). An investigation into the antecedents of service orientation. In: A. O'Cass, Visionary Marketing for the 21st Century: Facing the Challenge. ANZMAC 2000, Gold Coast, Queensland, (211-216). 28 Nov - 1 Dec 2000. Coote, L. V. (2000). Determinants of selectivity in industrial relationships. In: A. O'Cass, Visionary Marketing for the 21st Century: Facing the Challenge. ANZMAC 2000, Gold Coast, (201-210). 28 Nov - 1 Dec 2000. Rowe, A. and Coote, L. V. (2000). Measuring satisfaction with interpersonal service and self-service technology. In: A. O'Cass, Visionary Marketing for the 21st Century: Facing the Challenge. ANZMAC 2000, Gold Coast, Queensland, (1079-1084). 28 Nov - 1 Dec 2000. Book of Abstracts: 7th Annual Research Students' Colloquium 2005 (2005) . Edited by Forster, David and Coote, Len. 7th Annual Research Students' Colloquium 2005, 10 June, 2005, Brisbane. 6th Annual Research Students' Colloquium 2004 Abstracts (2004) . Edited by Coote, L. V.. 6th Annual Research Students' Colloquium, 11 June 2004, Bardon, Brisbane.